These 8 lined templates complement introductory lessons on concrete poetry. They can be used in the draft or final publication stage of the writing process. Older students can draft their poetry on the template and transfer their work to a separate sheet of paper for a more authentic concrete poem. 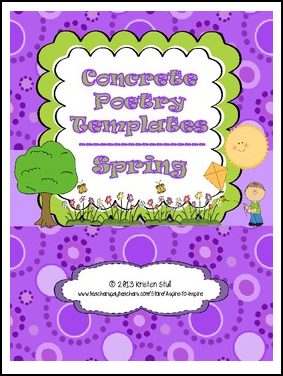 Younger students can visualize the shape of their concrete poems with the help of these templates, which are also lined to help keep writing neat. Great for displaying student work as well. A fun addition to use during April, which is Poetry Month. Your questions are welcome, and your feedback is appreciated.